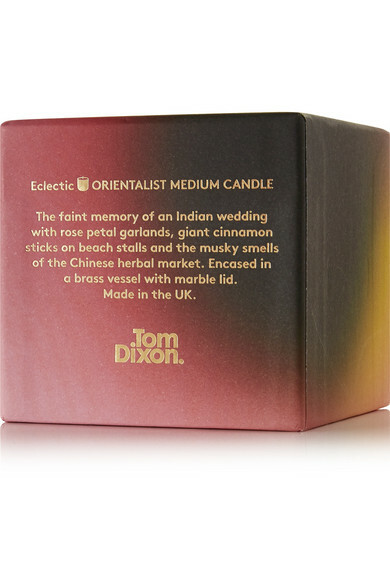 Tom Dixon's 'Eclectic Orientalist' candle is inspired by the irresistible scents you'd experience at an Indian wedding, like Rose Petal garlands, spicy Cinnamon and musky Chinese herbs. 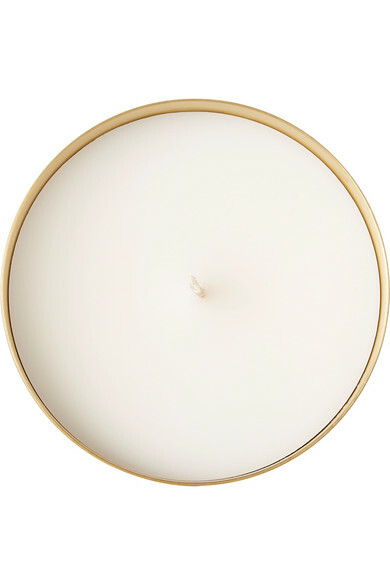 Housed in a hand-spun vessel, this home fragrance opens with Cassis and Violet Leaves, which leads to a heart of Magnolia, Geranium and Clove. 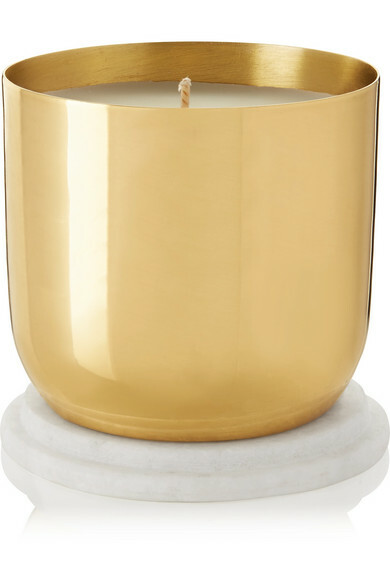 A warm base of Patchouli and Amber lingers for hours after the initial lighting.